Are you frustrated by your inability to lose weight? There are many diet programs that assert their ability to aid in weight loss but they often have contradictory philosophies or are based on unsubstantiated claims. It’s no wonder why so many people become discouraged and give up on their weight loss goals! But what if I told you that there was an effective and scientifically proven diet that could help you lose weight without counting calories and while eating delicious foods like bacon and cheese? Well there is, and it is called the ketogenic diet! 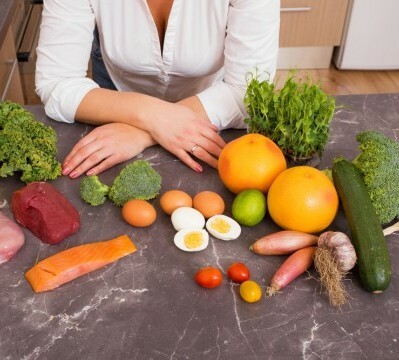 The ketogenic diet takes advantage of a completely natural metabolic state called ketosis. Ketosis is when the body is using fat for energy instead of sugar. It is called ketosis because in times of starvation the liver breaks down body fat to produce energy packets called ketones. Ketones can be used as an alternative source of energy by the mitochondria (power plants) in most of your cells. In fact, one of the primary functions of body fat is to serve as an alternative fuel source when food is sparse. Think of a bear fattening up for winter so that it can burn up body fat as energy throughout the winter hibernation. The problem for modern humans is that the winter hibernation never comes and we just keep storing fat. Historically, people did not eat all day or even everyday. We were designed to go through periods of low or no food intake. During these times of austerity, the body would utilize stored body fat to fuel cellular processes. A ketogenic diet allows you tap into that fuel source without having to suffer through fasting and starvation. A ketogenic diet is characterized by low carbohydrate (5-10%), moderate protein (15%-30%) and high fat (60%-75%) macronutrient ratios. The lack of carbohydrates in this diet deprives the body of glucose forcing the body to turn to fat for fuel. This allows blood sugar levels to balance out and insulin sensitivity to increase. Eating lots of fat causes satiation and a decrease in appetite which leads to the consumption of less overall calories. This also eliminates the need to count calories since you will naturally be eating less. Once your body burns through the dietary fat you have consumed, it is still in fat burning mode and will readily burn body fat. This is why people can see such dramatic weight loss on a ketogenic diet. Protein must be moderated because any excess protein that is not used as building blocks by the body is broken down into sugar by the liver in a process called gluconeogenesis. To make sure you are in ketosis, you can use urine test strips that roughly indicate the ketone levels in your blood. These are included in Dr. Colbert’s Elite Slender System package. Eating a truly ketogenic diet means giving up all of the sugary and starchy foods so many of us live on. It also requires that you pay attention to the kinds of fat you eat. Be sure to avoid oxidized oils! Grains such as wheat, oats, rice, corn, quinoa, etc. Starchy vegetables such as potatoes, sweet potatoes, carrots, pumpkins, beets, etc. Most fruits including bananas, dates, mangos, pineapples, oranges, etc. Although the list shows that a ketogenic diet is relatively restrictive, you are also able to eat rich, delicious satisfying fats and proteins. Leafy green vegetables such as kale, broccoli, spinach, brussels sprouts, cabbage, bok choy, chard etc. Herbs such as rosemary, oregano, parsley, cilantro, lavender, thyme, and dill. Fatty meat such as grass-fed steaks, burgers (sans-bun, try them lettuce wrapped), pasture-raised pork, bacon, sausage, offal, etc. Healthy plant fats such as coconut oil, olive oil, MCT oil, and avocado oil. If you are ready to begin dropping pounds, Dr. Colbert’s FREE Slender System program is designed to burn fat utilizing the principles of the ketogenic diet. The program provides expert guidance on navigating the diet with access to resources such as a grocery list of approved foods and recipes. This sounds doable! How long does (should) one safely stay on a ketogenic diet? What happens after? Will the weight lost come back after the diet is over? Or does one somehow incorporate part or all of this diet for life? You can follow Dr. Colbert’s modified ketogenic diet until you hit your weight loss goals. He recommends that you do not do the modified ketogenic diet for more than 3 months at a time. Once you hit your weight loss goals, you can transition into “maintenance mode” and start including more carbs in your diet or you can still follow a ketogenic diet with a higher calorie intake per day.